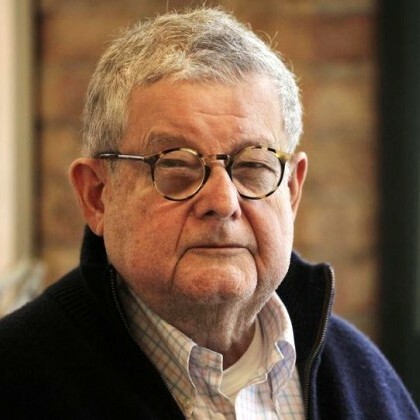 Stanley Tigerman is renowned as an American architect, theorist and designer. As a Chicago legend and as principal of Tigerman McCurry Architects, Tigerman considers the roots of his practice within the Chicago tradition of innovative design. A close friend and colleague to Muzharul Islam, with whom he partnered in the design of Five Polytechnique Institutes in the 1960s, Tigerman considers his experience in Bangladesh, and his relationship to Muzharul Islam, as a major factor in his humanistic and ethical approach to architecture. This is evident in the founding of the “alternative” design school Archeworks in 1993. As a central figure of the Chicago Seven in 1976, Tigerman was earlier part of a group that emerged in opposition to the doctrinal application of modernism. In later years, his diverse design style progressively assumed a more sensual and theatrical character. Tigerman’s building credits include institutional projects such as The Five Polytechnic Institutes in Banglades), The Illinois Holocaust Museum and Education Center in Skokie, The Illinois Regional Library for the Blind and Physically Handicapped in Chicago, and The Powerhouse Energy Museum in Zion, Illinois. He has completed both mixed use high rise and low rise housing projects throughout the United States, as well as in Germany and Japan, and he has designed exhibition installations for museums in the United States, Portugal and Puerto Rico. His broad range of collaborative works include the Chicago Central Area Plan, the 1992 Chicago World’s Fair, and London’s Kings’ Cross and St. Pancras’ High Density Mixed Use Urban Plan. From the more than 390 projects defining his career, over 175 built works embrace virtually every building type. The practice of Tigerman McCurry Architects is the recipient of seven national American Institutes of Architects Honor Awards and more than 150 national and local awards for architecture and design excellence. The work of the firm has been exhibited worldwide over 300 times at museums and galleries such as The Museum of Modern Art in New York, the National Museum of Modern Art in Kyoto, the Deutesches Architecktur Museum in Frankfurt, The Metropolitan Museum, and the Guggenheim Museum.